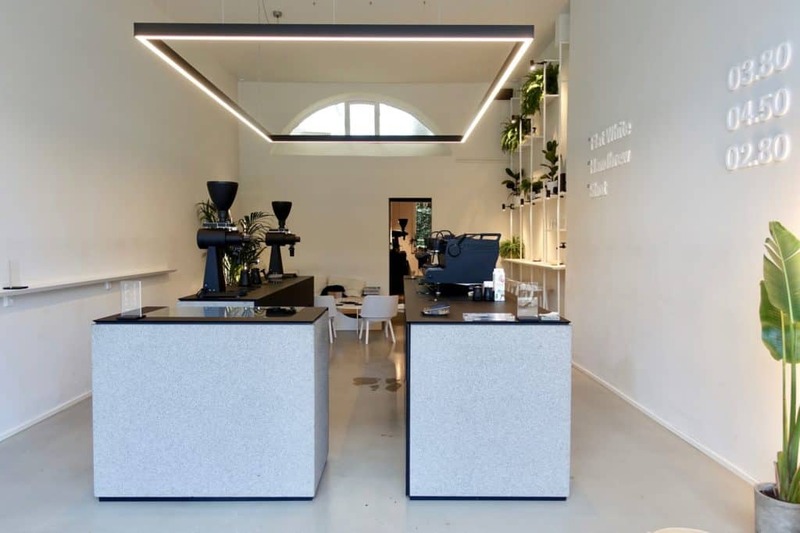 Törnqvist, one of Hamburg’s newest specialty coffee shops, raises the standards of coffee. 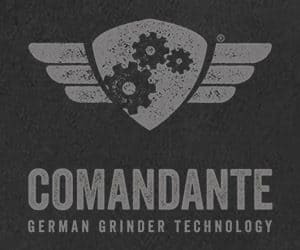 It is a must-visit for coffee geeks as well as amateurs. Linus Köster, who is the owner of Törnqvist, shows his knowledge of and passion for coffee in all aspects of the cafe and the service. And when you sip his brews, it is not the roast but the taste of Bolivia or Burundi that lingers on your tongue. 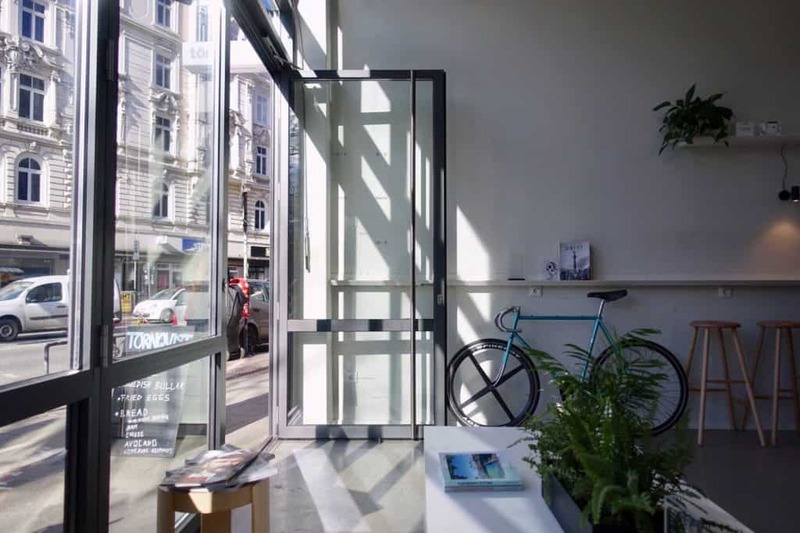 The cafe stands out in Hamburg’s alternative district Sternschanze by its clean design. Its approach to interior design seems to be in a direct correlation with their beliefs of what coffee should taste and be served like. 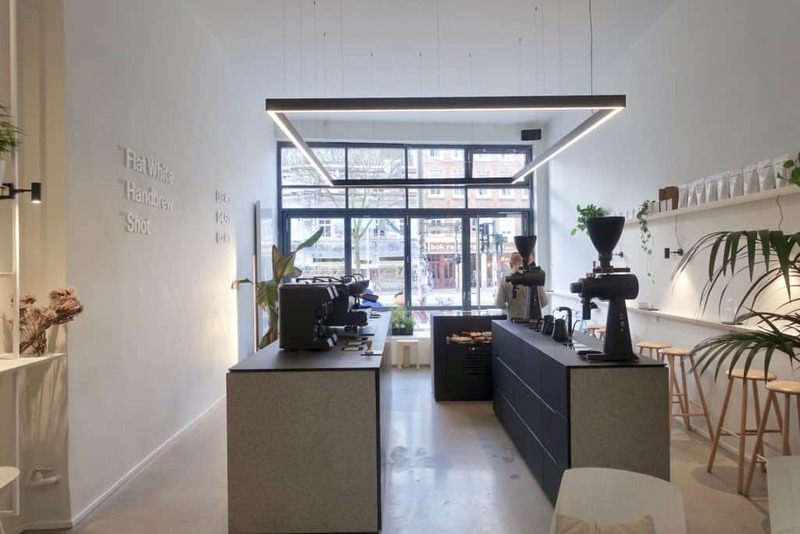 The black and white interior is trimmed by sleek and clear-cut edges, which make the coffee shop transparent from the entrance to the bar, and all the way to the kitchen. It prompts a passer-by to wonder what this place is all about. Some people might dismiss it as a hipster hotspot; don’t make this mistake. Törnqvist is probably the cafe the most faithful to coffee that I have been to. So, what is this place all about? At Törqnvist you will savour coffees with the most honest approach to the seed of this fruit. 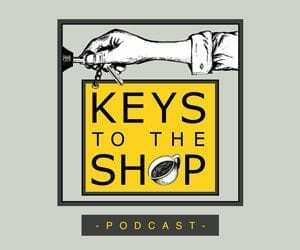 You can expand or reinterpret your coffee knowledge, just by chatting with the baristas and fellow international coffee drinkers. After a sip at Törnqvist, your expectation of coffee will not be the same. Here you will savour the best Scandinavian filter roasts, no matter if you choose espresso or filter. Alongside this, enjoy some of the finest cinnamon rolls and read a local coffee magazine. Linus Köster is everything behind Törnqvist. However, his introduction to coffee was not so different from many others cafe owners. He used to prepare coffee with his dad’s espresso machine with naked portafilters and was crazy about its thick Italian crema on the surface. He also had fun making latte art along with it—something he taught himself on a whim. 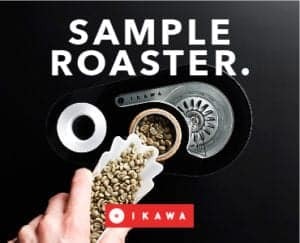 In his college days in Groningen, the Netherlands, with a cheap Krups machine and a great grinder from his dad, he experimented more with coffee roasts from all over the world. He always loved inviting friends over and socialising. So it came to be that (as far as the friends were concerned) his place was where you would find the best coffee in town. After studying business and management in Groningen, he worked for Mercedes in Madrid: “Five days of grey and boring office work for two days of fun.” When his grandmother Marianne Tørnqvist passed away, he realised that life was too short to limit oneself to mere two days of fun. The idea of opening his own cafe was born. He wanted to open it together with his younger brother, they would have called it Long Story: a venue with quality drinks and food, movie nights etc.—where life could be enjoyed. Unfortunately, his brother, who would have been the cook, wasn’t ready to jump in the cold water. Now on his own, Linus gave it a halt too and started the quest for another solution. “Of course I was in Australia, and of course I encountered the coffee scene there and of course I drank the flat white”. On this quest, discovering the world, Linus realised how much the coffee scene had to offer. The standard of coffee at Australian gas stations was higher than most high-end stores in Berlin. Even Asia was more advanced in high-quality coffee than Germany. Linus became aware of how far behind his own nation was in this area and became determined to be a part of its new chapter. 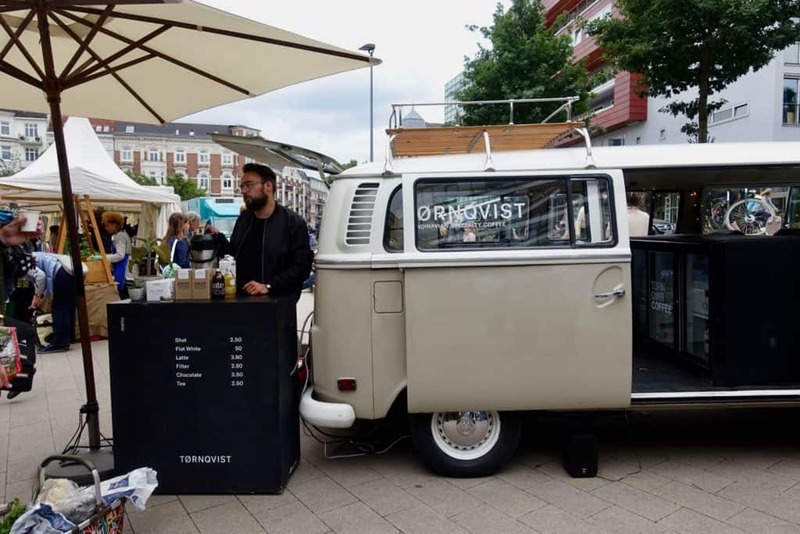 To open a cafe by himself was still a far stretch and so he started with a coffee truck: the beige VW oldtimer van. Linus toured the streets of Germany to test if people were ready to accept specialty coffee yet. At first, they were not. People only remarked that it wasn’t fair trade and that his coffee tasted sour. But over the years his niche found its customers and so Linus searched for a city to be based in, to reform the idea of a cafe. Since Hamburg’s food truck scene welcomed his oldtimer with open arms, it was the city Linus chose to park it up at for the time to come. Slowly, Hamburg became more than just a place for his VW truck. The city had eventually become home. Over shared meals with Mika Neu from Less Political, searching for apartments with Veljko Tatalović from Playground Coffee, Linus soon belonged to the Hamburg coffee family. 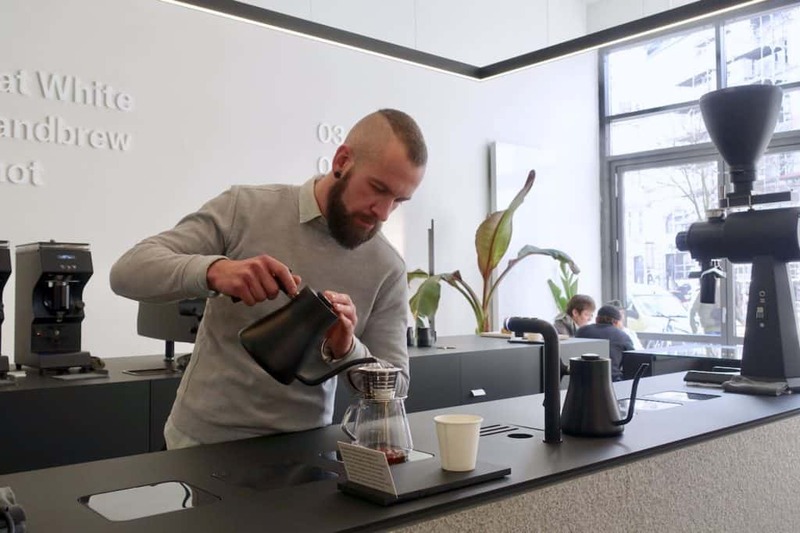 Now, four years later, Linus’ knowledge and experience fuel his newly opened Törnqvist coffee shop: a setting where memories of what coffee can really be, are created. Linus’ goal is to be the most faithful to coffee in Europe. He wants to share with us that coffee is a fruit. That is why he only brews with filter coffee roasts from the best Scandinavian roasters and mineralises his waters anew for each roast. However, these ethics at Törnqvist aren’t something with which baristas look down on customers. 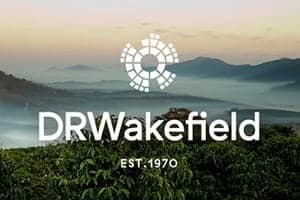 They are genuinely kind and knowledgeable while at the same time understanding of people’s varied expectations of what coffee should taste like. 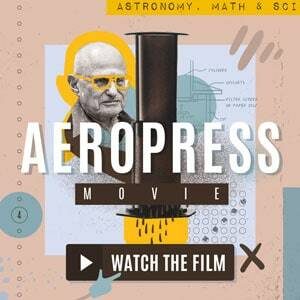 They are happy to explain their craft to any coffee drinker. 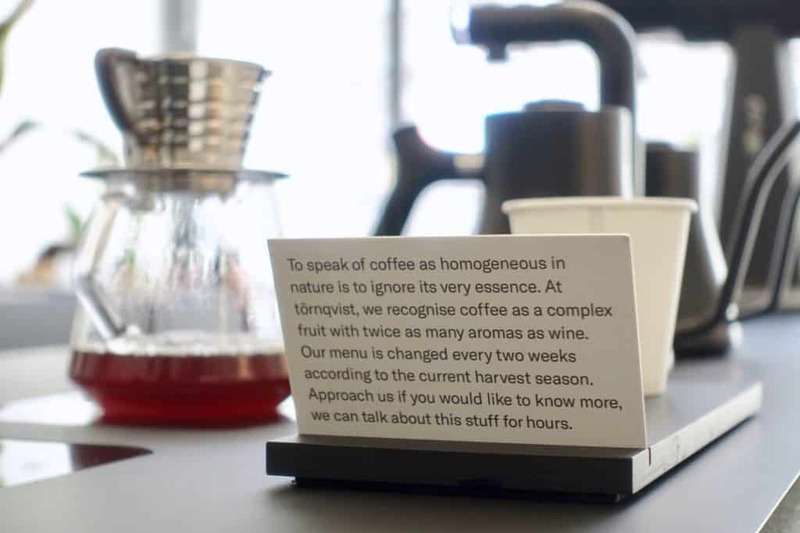 The centred coffee bar helps them with that, as it is set up for an equal interaction between barista and customer. 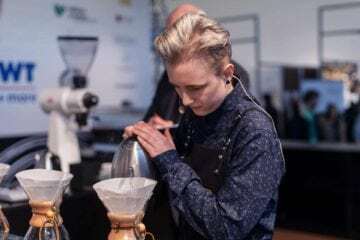 Törnqvist’s head barista is Tricky Garrett, an Australian native. He has been working as a barista for 7 years now. In Australia, he worked, amongst other places, at Sensory Lab Bondi which is under the world-known St. Ali family. Otherwise, most of his baristas are friends from Gröningen, which Linus personally taught. 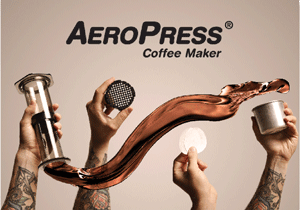 Unexpectedly, you might also have Linus’ own mentor, Moritz, brew your coffee. He recently decided to move to Hamburg solely because of Törnqvist. 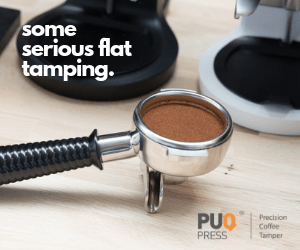 If it were up to Linus, he would call all the drinks they offer a ‘filter coffee’: a flat white, just as much as a hand brew or a single shot. One is extracted with pressure, through a metal filter, the other is filtered by hand through a paper one. According to Linus, these are the best three drinks in which the full potential of the fruit can be valued. Every two weeks Törnqvist offers two new coffee roasts, usually roasted by The Coffee Collective, La Cabra, Tim Wendelboe, Drop Coffee, Koppi, or da Matteo. For more coffee enlightenment, they re-filter two types of water with an osmosis system: one for the espresso and another for the filter coffees. Thus, each water is optimized for the coffee roast which highlights the nuances of its origin optimally. 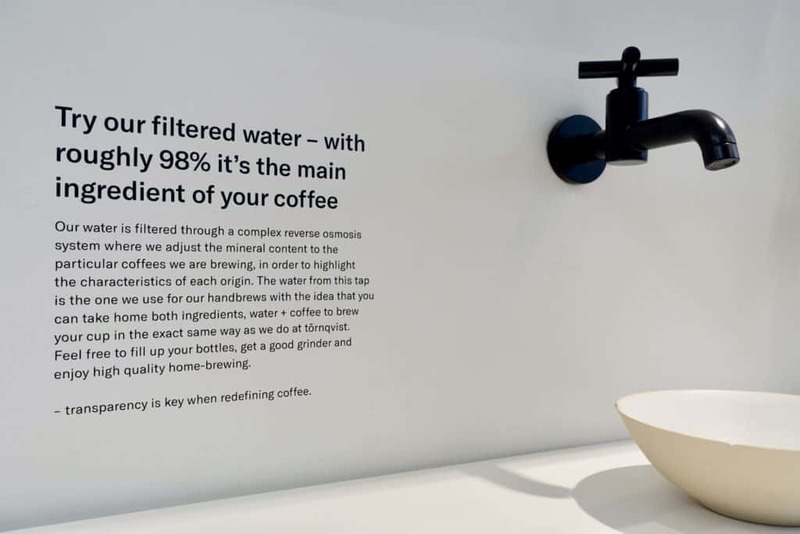 To aim for the same coffee experience at home, you can take this mineralised water home with you, straight from their tap, along with one of the coffee roasts. Lastly, sit back, relax and wait for your coffee to come. Good things take time. 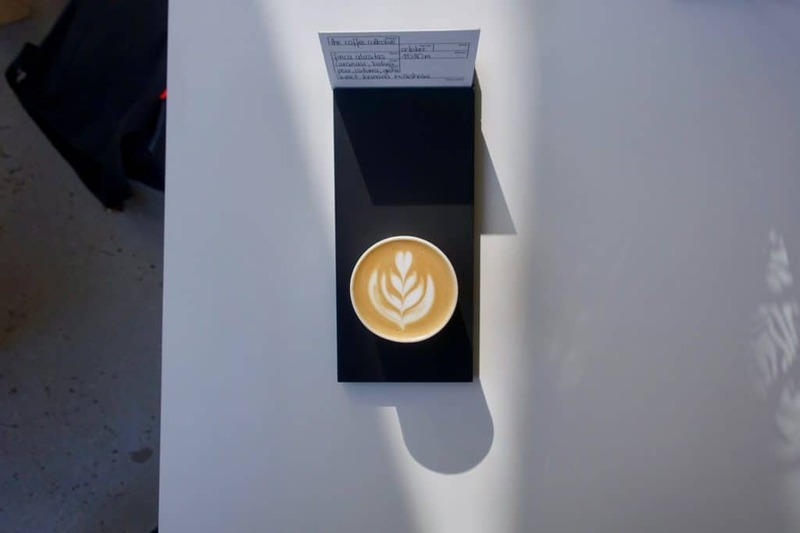 You will receive your beverage on a black slate, backdropped by its own coffee card that informs about the coffee’s roaster, its name, origin, harvest time, variety and flavour profile. 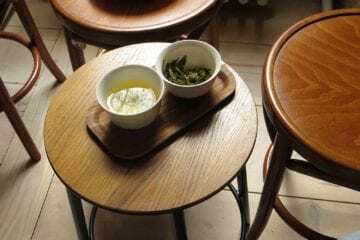 There is even a slot for the score of this coffee, meaning, how high on the specialty scale the green bean stands. For example A Coco Natural variety from Finca Alasitas in Bolivia, that was fermented under UV-filters. It tasted more like papaya and banana than the expected berry hints that usually come out in natural coffees. Or try it as a flat white, in fine handmade white porcelain cups. With the perfect amount of milk, even sceptics have to admit that this Bolivia reminds of a banana milkshake. However, Törnqvist doesn’t only reinterpret papayas and banana-milkshakes as the flavours in their coffees. Another of the specialities here is the hand-whipped butter. They make it themselves twice a week, sometimes with hay and chamomile, sometimes with tonka bean. You get to taste it topped with activated charcoal and either caramelized goat cheese, homemade jams, or honey on artisan bread. Another treat is the cakes baked by Vicky of Black Line. Wait for the summer and Linus will host barbecues in the courtyard garden too, hosted by his Salt & Silver pals. Another of the Scandinavia classics served all year along is the popular Kanelbullar. These golden twists, the finest cinnamon rolls for which the recipe comes from Linus' brother, accompany any of Tornqvist's coffees perfectly. Törnqvist is definitely worth a detour, no matter if you are a coffee enthusiast or not. 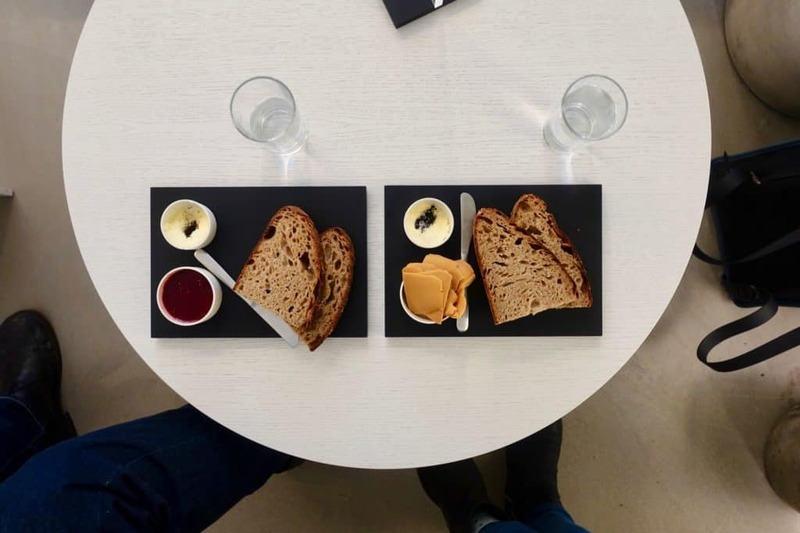 This cafe has specialised beyond the standards of third wave coffee. 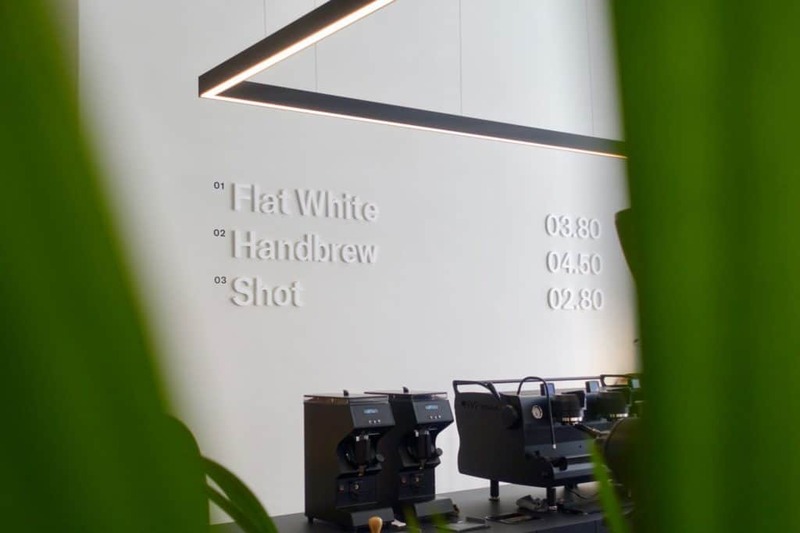 Thanks to the cafe being as transparent as possible, you learn about new interpretations of specialty coffee and discover how different this fruit can taste. 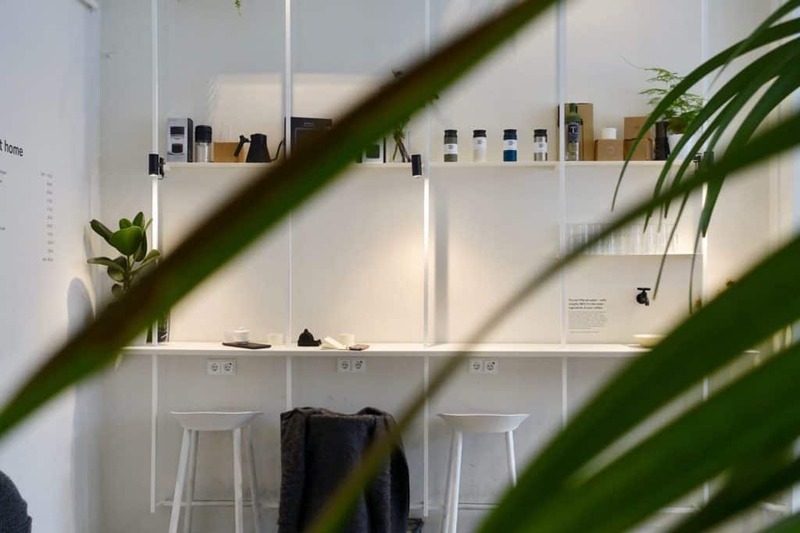 At Törnqvist you are sure to find your preferred version of filter coffee in a serene and enlightened atmosphere. Come be enlightened!